Dental assistants work closely with the dentist, and sometimes dental hygienist, to fulfill a patient's needs. Dental assistants are responsible for a wide range of tasks, requiring flexibility in the work place. These tasks include: patient care, clinical skills, technological skills, sanitation, and sterilization. Our dental assistant programs in Tennessee offer a flexible schedule to accommodate any student. 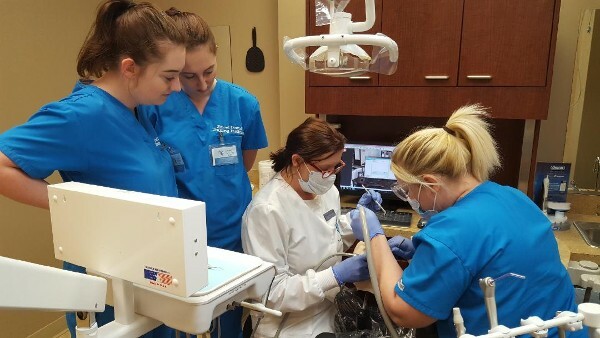 Our day program is a 12-week program, Monday through Thursday from 8:00 a.m. to 1:30 p.m. Our night program is a 12-week program, Monday through Thursday from 5:00 p.m. to 9:30 p.m.
We take pride in our small dental assistant classes, ensuring that each student has adequate time with their instructor. Students begin working in the dental clinic from the very first module, learning all aspects of dental assisting from radiology and impressions to making temporary crowns. The cost of tuition covers everything you need for the program, including uniforms. Our students will receive first hand experience through externship with another office or an internship with our on-campus dental office. Upon completion, Excel Dental Training Institute has 100% job placement. A dental office manager is responsible for the efficient and effective management of a dental practice. In this field, you will be the motivation and the heart of the communication between the staff and doctor. This program will prepare you to supervise employees, manage patients, and manage and prepare office reports. It will also provide you with knowledge of insurance filing, insurance coding, maintenance of dental records, collections, billing, and handling legal and ethical matters. With our dental management courses, you will be prepared to work in a small private practice, a large group practice, or a clinic setting. Excel Dental Training Institute is authorized for operation as a postsecondary educational institution by the Tennessee Higher Education Commission. 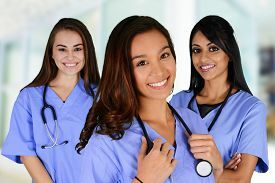 In order to view detailed job placement and completion information on programs offered by Excel Dental Training Institute, click here and click on the Authorized Institutions Data button.